Following The Twilight Zone‘s series debut today, CBS All Access has released the full first episode on their YouTube channel for those without a subscription to the streaming service. Starring Kumail Nanjiani, you can watch the first episode titled “The Comedian” in the player below! The ensemble cast is consists of Peele (Get Out) as the host, Seth Rogen (Invincible) Greg Kinnear (Brigsby Bear), Kumail Nanjiani (The Big Sick), John Cho (Searching), Ike Barinholtz (Blockers), Taissa Farmiga (The Nun), Ginnifer Goodwin (Once Upon a Time), Luke Kirby (Glass), Sanaa Lathan (Family Guy), Adam Scott (Ghosted), Rhea Seehorn (Better Call Saul), Alison Tolman (Fargo), Jacob Tremblay (The Predator), Jessica Williams (The Incredible Jessica James), DeWanda Wise (She’s Gotta Have It), Steven Yeun (The Walking Dead), Zazie Beetz (Deadpool 2, Joker), Betty Gabriel (Get Out), Percy Hynes White (Gifted), James Frain (True Blood), Tracy Morgan, Seth Rogen (Long Shot), Chris Dowd (Bridesmaids), and Amy Landecker (Transparent). CBS All Access has released two episode trailers for Jordan Peele’s forthcoming reboot of the iconic anthology series. The first video is for the episode titled “The Comedian” which stars Kumail Nanjiani and Tracy Morgan while the second one is for the Adam Scott starring episode, “Nightmare at 30,000 Feet”. You can check out The Twilight Zone when it premieres on CBS All Access on April 1. While we got a slight tease as to what Jordan Peele has in store for his reimagining of the iconic anthology series The Twilight Zone during the Super Bowl, the new trailer gives us a much better idea of what’s in store. The new trailer also gives us a look at the show’s impressive array of guest stars, including Adam Scott (Parks and Recreation), Alison Tolman (Fargo), Kumail Nanjiani (The Big Sick), and Steven Yeun (The Walking Dead). There’s even a cameo by Peele himself, which might even give you chills. CBS All Access has confirmed that their upcoming reboot of The Twilight Zone will premiere on the streaming service on April 1 with two episodes of the new series. Subsequent episodes will premiere on Thursdays beginning on April 11. Jordan Peele will executive produce the series and provide opening and closing narrations for each episode. The new Twilight Zone series will be produced by CBS Television Studios in association with Jordan Peele’s Monkeypaw Productions and Simon Kinberg’s Genre Films. Peele, Kinberg, and Marco Ramirez will serve as executive producers for the series and collaborate on the premiere episode. Win Rosenfeld and Audrey Chon will also serve as executive producers. The original The Twilight Zone took viewers to another dimension, a dimension not only of sight and sound but of mind. Created by Rod Serling, it was a journey into a wondrous land of imagination for five years on CBS, from 1959-1964. The godfather of sci-fi series, the show explored humanity’s hopes, despairs, prides and prejudices in metaphoric ways conventional drama could not. In 1983 Steven Spielberg produced a big budget anthology film version, Twilight Zone: The Movie, directed by Spielberg, John Landis, Joe Dante, and George Miller. The show was revived by CBS in the 1980s and ran for three seasons, helmed by the likes of William Friedkin, Atom Egoyan, and Wes Craven. It was revived again on UPN and hosted by Forest Whitaker in 2002 for one season. 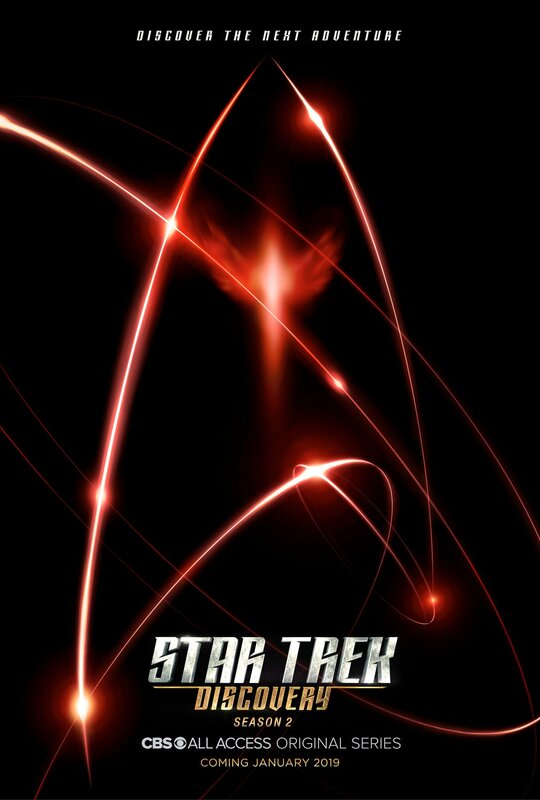 Discover the next adventure of Starfleet. Watch a new trailer of the highly anticipated season two premiere of Star Trek: Discovery, which makes its epic return to CBS All Access on January 17, 2019! Debuted at New York Comic Con during its panel with cast and executive producers, this trailer previews the continued voyage of the U.S.S. Discovery and its crews’ mission to discover new worlds and new life forms. If you haven’t caught up on season one yet, try CBS All Access free now at cbs.com/startrek. 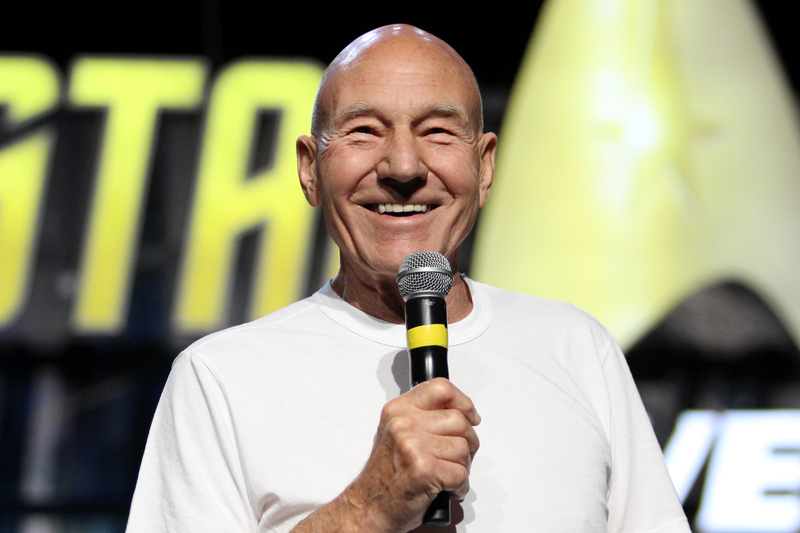 Sir Patrick Stewart has personally announced at the Las Vegas Star Trek Convention that he will officially be stepping back into the role of Jean-Luc Picard in a new Star Trek show for CBS All Access! Star Trek: Discovery co-creator and executive producer Alex Kurtzman will oversee development on the new show, which is not a Star Trek: The Next Generation reboot but rather a continuation of Picard’s story.